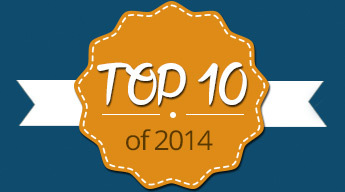 Here is our last post about the Top 10 of the most seen content on our website in 2014. We have a look at the news, the Forex books and interviews in our Live Analysis Room, led by Dale Pinkert. 2014 was largely a year of low volatility, interspersed with big political developments. EUR/USD as usual remained the primary focus, but the referendum in Scotland, the Russian annexation of Crimea and subsequent sanctions, the oil and Rouble collapse and the end of dollar weakness provided a lively close to the year. 1. “Opportunities in Forex Calendar Trading Patterns” by John Forman – The research in Opportunities in Forex Calendar Trading Patterns covers all of the major pairs and crosses, looking at the data in several ways. The research which went into it unearthed numerous interesting patterns. 2. “The EURUSD Strategy Builder” by Tor Vollaløkken – Throughout this e-book version you can read all about the recommendations that Tor Vollaløkken has for risk management procedures, leverage, how to set invalidation levels, entry and take profit levels for your EURUSD trading strategies. 3. “The Sensible Guide to Forex” by Cliff Wachtel – The book “The Sensible Guide to Forex: Safer, Smarter Ways to Survive and Prosper from the Start” is focused on reducing the high risk, complexity, and time demands normally associated with forex trading. 4. “Kathleen Brooks on Forex: A simple approach to trading foreign exchange using fundamental and technical analysis” by Kathleen Brooks – In “Kathleen Brooks on Forex” she reveals the secrets of this approach, demonstrating the indicators she uses, and showing through detailed examples how she plans and executes profitable trades. 5. “Beyond Technical Analysis” by Tushar S. Chande – This book by Tushar S. Cande provides a classic technical analysis, newly updated to help traders develop and forward-test a high-performance trading system for today’s markets. 6. “A Complete Guide To Volume Price Analysis” by Anna Coulling – Anna Coulling’s Guide analizes volume and price and the result of their combination: a powerful analytical approach to forecasting market direction. 7. “Day Trading and Swing Trading the Currency Market” by Kathy Lien – In this book, Kathy Lien describes everything from time-tested technical and fundamental strategies you can use to compete with bank traders to a host of more fundamentally-oriented strategies. 8. “Trading EURUSD event risk” by Tor Vollaløkken – Tor Vollaløkken has outlined on “Trading EURUSD event risk” those data and news releases EURUSD traders should pay attention to. 9. “Trading Systems That Work” by Thomas Stidsman – Thomas Stidsman reviews and analyzes today’s major software programs, and helps traders determine which will work best for their personal trading style and habits – and which could actually work against them. 10. “Millionaire Traders” by Kathy Lien and Boris Schlossberg – In Millionaire Traders, Kathy Lien and Boris Schlossberg have interviewed twelve people who started with as little as $1,000 and turned those modest stakes into a six- to seven-digit fortunes training themselves to become true professionals. 1. Alexander Green: There is nothing to replace Dollar as reserve currency, June 23 – Investment U’s Chief Investment Strategist Alexander Green says you can’t manage your portfolio worrying about geo risk. He affirms that there is nothing to replace the Dollar as reserve currency. 2. Lydia Finkley: GBP/USD short at 1.6350 on Scottish referendum, September 17 – Independent trader and blogger Lydia Idem Finkley @faithmight comments a short possibility in GBP/USD from 1.6350 into Scottish referendum. She affirms that the 1.6000 50% Fib retrace is still viable. 3. Ed Matts: AUD/USD at 0.9070 before a retrace, September 10 – MarketVision TV’s Senior Technical Strategist at Capital Management Ed Matts @EdMatts says AUD/USD at 0.9070 is possible before a retrace; He sees a AUD/NZD pullback to 1.1030 to be bought as for 1.1360 as objective. 4. Michele Schneider: Focused on the long side of the Dollar; oil is the new gold, August 8- Stocks & Commodities Analyst and Hedge Fund Partner Michele Schneider (@marketminute) comments that she is focused on the long side of the Dollar. Schneider affirms that the commodities oil is the new gold. 5. Paul Bratby: USD/CAD at 1.1500 by Christmas, August 27 – Full Time Financial Market Trader, blogger and multiple website owner/operator Paul bratby @pbrat40plus comments his take on wave 4 pullbacks in GBP/USD, AUD/USD and USD/CAD. 6. Adam Button: Seasonals favor USD; EUR/USD could trade down to 1.1500, December 23 – ForexLive™’s managing editor Adam Button @FX_Button says he is humble and grateful for the FXstreet Person of the Year Award. 7. Jim Martens and Elliott Waves: EUR/USD to 1.3200; USD/JPY correcting to 94.00, May 12 – Elliott Wave International’s Senior Currency Strategist Jim Martens exposes in the FXroom the Elliott Wave strategies as well as commented how he was involved in investing markets at the very beginning. 8. Blake Morrow: USD/JPY vulnerable to the downside, September 5 – Wizetrade’s Chief Currency Strategist Blake Morrow @PipCzar says USD/JPY and commodity currencies are vulnerable to the short side. He comments that the AUD/JPY is here lokking for pullback from Fib confluence. 9. Brian Twomey: What does the market need to normalize? S&P, Gold, Euro & yields overview, July 9 – Inside the Currency Market’s author Brian Twomey @authorbtwomey shares levels needed for markets to normalize: The required cocktail would be: Euro under 1.3480. Gold above both 1,323 and 1,341 as well as the 10-year yields over 2.72% while the S&P under 1,834. 10. Greg Michalowski: USD/JPY correction could go to 115.00 and even 113.00, December 9- Director of Education and Technical Analyst for ForexLive and author of ‘Attacking Currency Trends’ Greg Michalowski @gregmikeFX says that the USD/JPY correction could carry towards 115.00/113.00 as long as it stays under 120.00 for now.